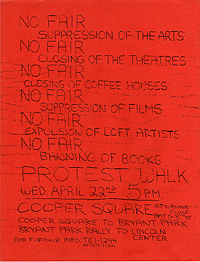 I have never understood the impulse of some Burroughsians to quarantine the life and work of their idol. 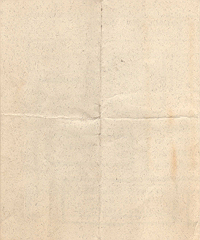 Why this desire to make Burroughs unique, to focus on his solitary nature, to deny his influences and origins? Me, I want the virus to spread and infect every aspect of our lives. If I can tie Burroughs and his work to sentimental Victorian romance novels (after all, he is connected through Nuttall to Victorian Boy’s Magazines), I will be happy to do it. 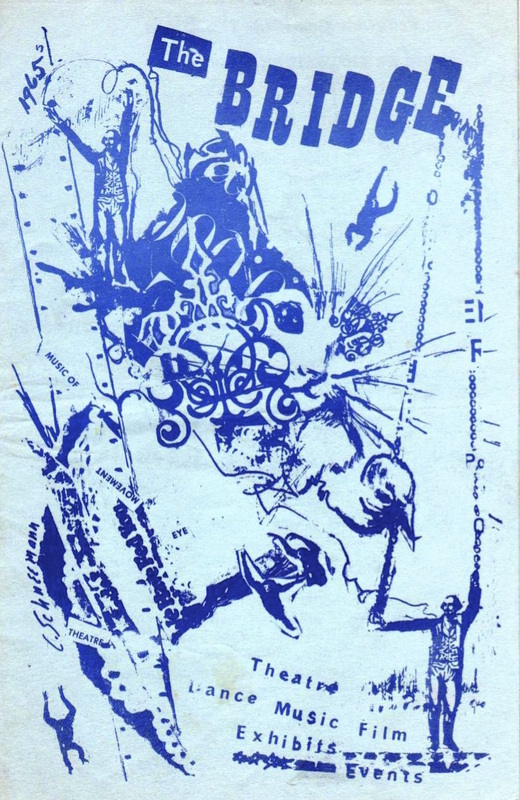 To get the full force of the Burroughs fix, it is all about set and setting. 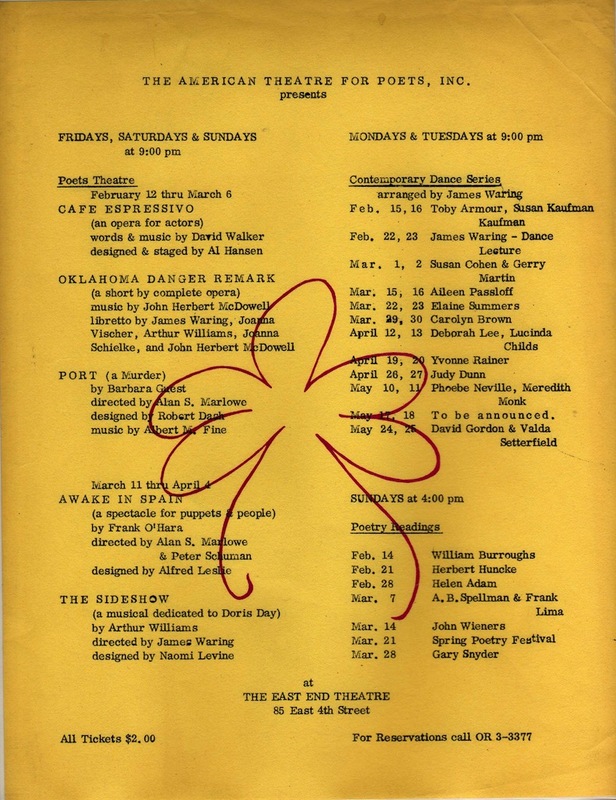 Check out the performance schedule for the American Theatre of Poets in 1965. 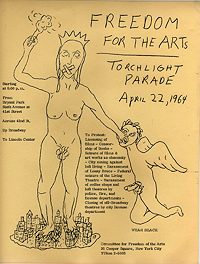 You’ll see Burroughs reading there on St. Valentine’s Day of course, but look at all the other performances as well. 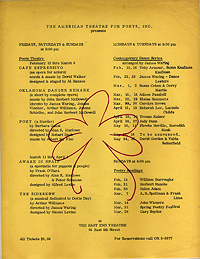 Judson Theater dance people, Black Mountain College alums, Beat poets, New York School writers, avant-garde musicians, Art Happenings, Fluxus events. 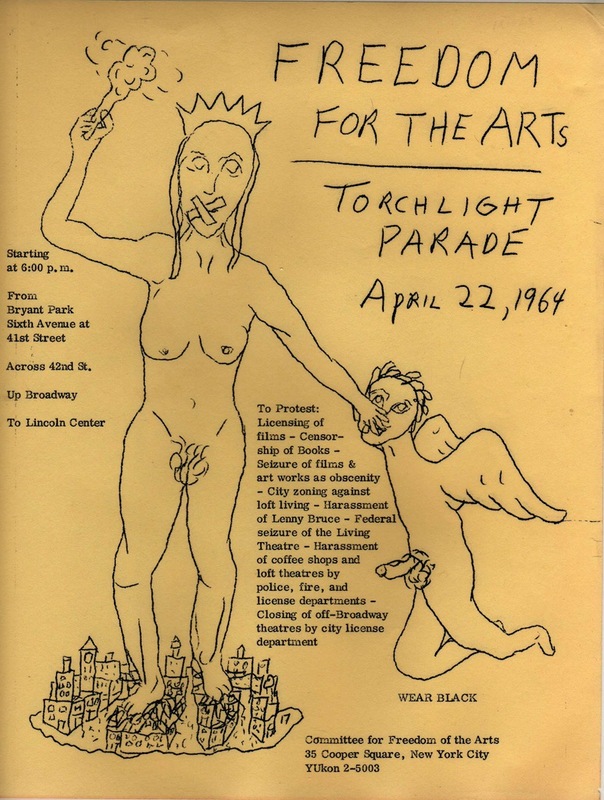 In the early and mid-1960s, this was the context for a Burroughs happening; these were the people in the audience for a Burroughs reading; these were the performances that took inspiration from Burroughs’ work. 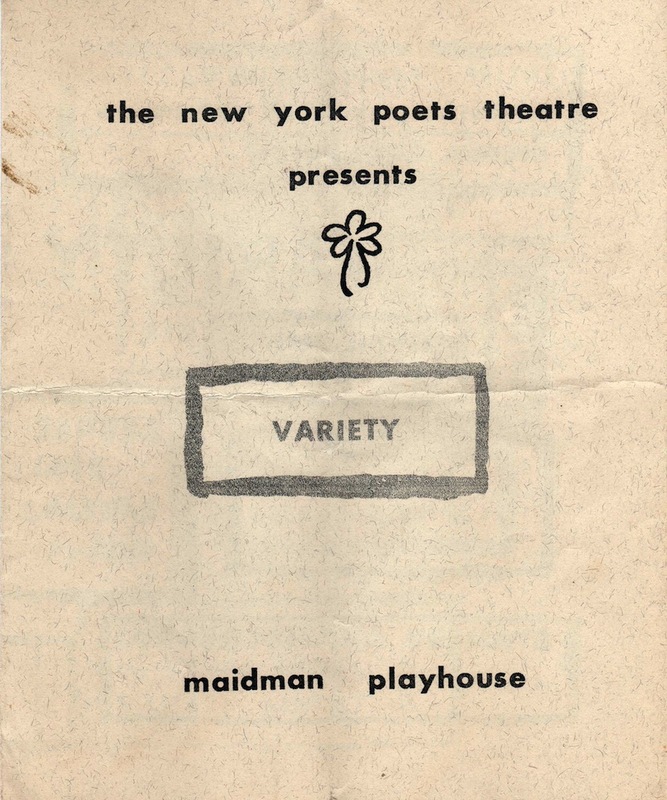 Ephemera from the New York theater scene gives color to what often threatens to be a black and white portrait of Burroughs. 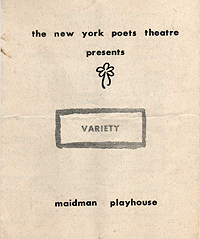 In addition to photographs and reminiscences about the Living Theatre contributed by Charles Rotmil, I offer documentation from Burroughs’ St. Valentine’s Day Reading and some other ephemera from the New York theater scene. 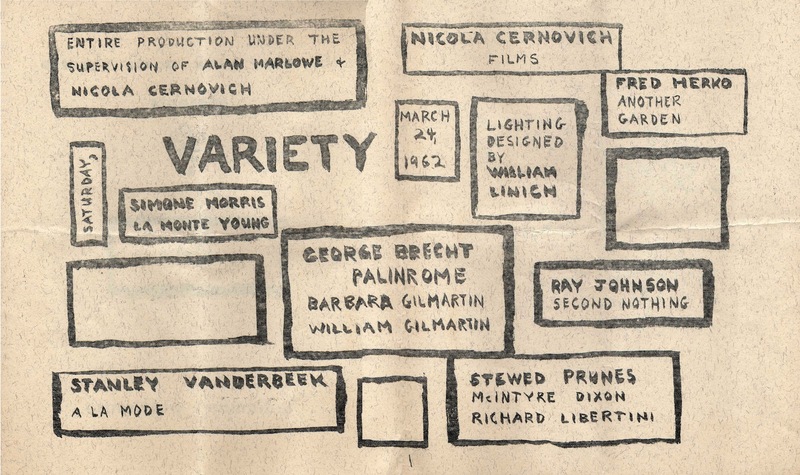 I think it assists in one’s perception of Burroughs and his work. Written by Jed Birmingham and published by RealityStudio on 30 September 2012. See also Valentine’s Day Reading. 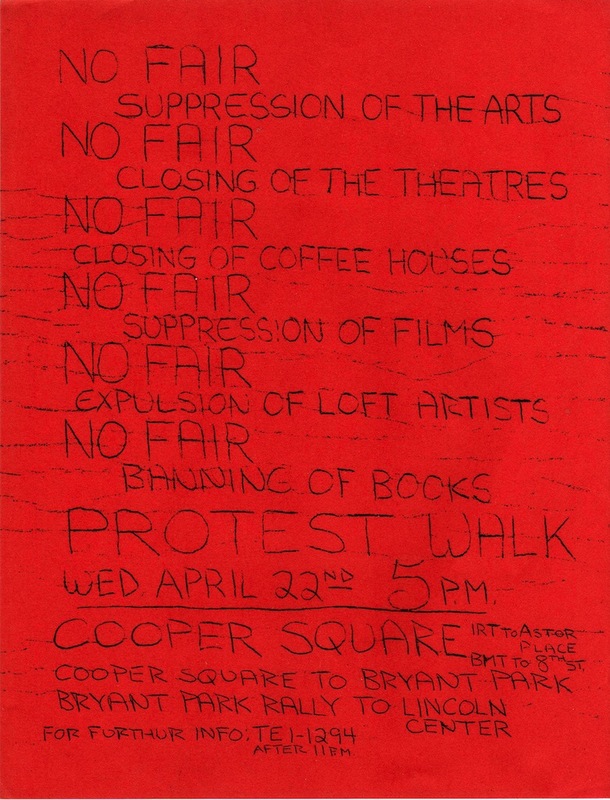 Great ephemera. 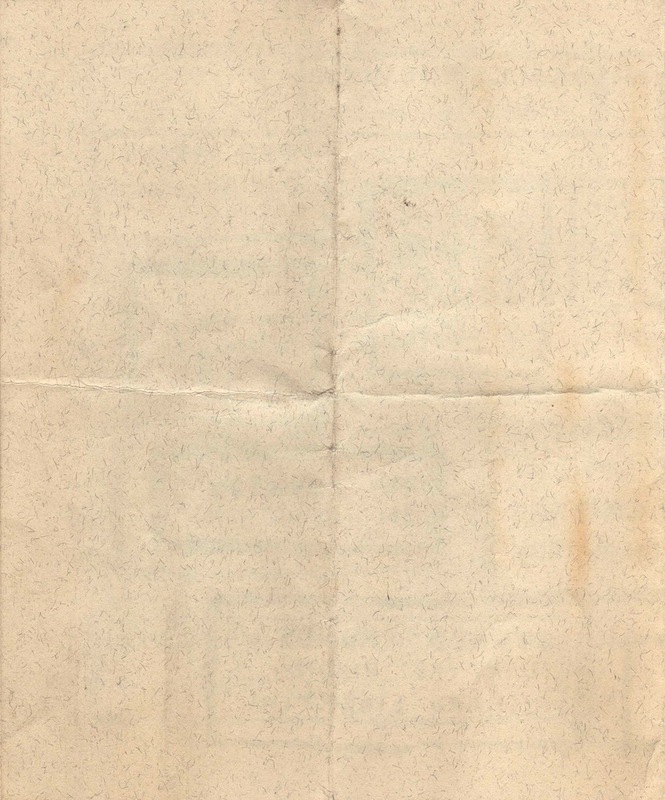 I am still puzzled about the recording of Burroughs’ reading. Is it a recording of his live introduction and the playing of a pre-recorded tape? Or is it the pre-recorded tape itself? The period review indicates that he pushed the play button and then left the stage; and since it is very sound effect/cut-in rich it makes sense. But I wonder if this is an actual recording OF the recording being played. What a Burroughsian conundrum.